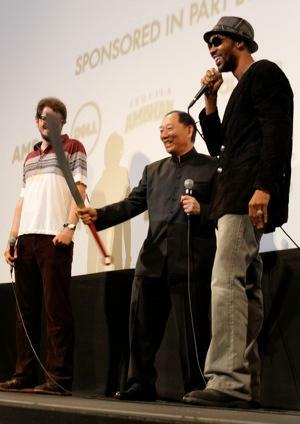 Long the traditional weapon of China's peasant armies, the dadao (literally, "big sword"), was used with deadly effect as late as the 1930's and the Sino-Japanese War. The dadao's single- or two-handed versatility combined with the tremendous slashing power of its weight-forward blade made it the ideal close-quarters weapon. Although most originals had no scabbard, a simple carrying case is provided with this reproduction for protection and ease of transportation of the sharp blade. 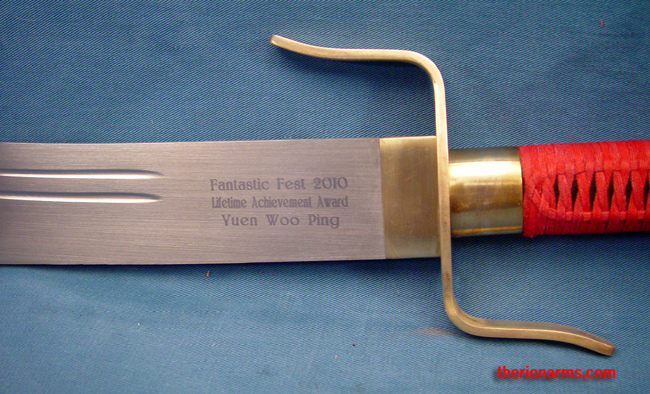 grip and pommel: 14 1/4"
and the sword was presented to Master Yuen by RZA, leader of the Wu-Tang clan.